How often do you really “Look UP” in Seattle? We are always trying to make sure we are going the right way on a one way street, looking for parking, and avoiding pedestrians! 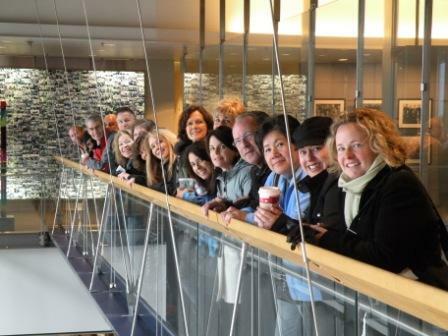 Here is your chance to take a walking tour of the city and learn about the history and design of some of the most notable buildings in Seattle. Catch a birds eye view of the city from the highest Starbucks in the U.S., visit the Mayors office, explore the red floor in the library and get a great photo of the Walrus on the Arctic Building. From Art Deco to Modern design, you will get a sense of history and how it affected the skyline of our city. Natalie is an award winning tour guide and has led this tour for over 10 years to people from all over the world! Meet in front of the 5th Ave Theatre as a good landmark. $30 for ALL participants (agents get 3 clockhours) Register and pay under clockhours specials.